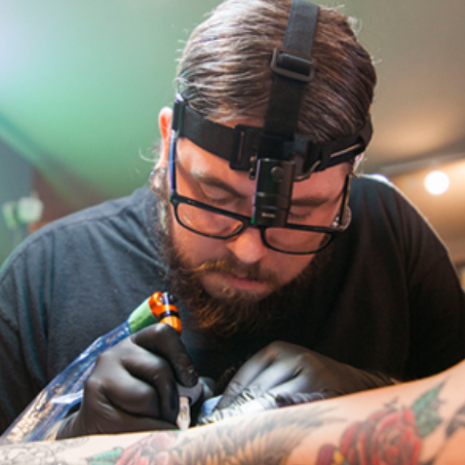 Guns N Needles Tattoo is an upscale artist-owned and operated tattoo studio. We offer a welcoming and upbeat atmosphere, which is embraced by adults from all walks of life. 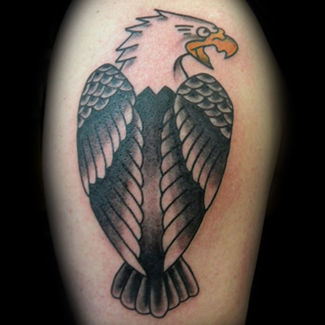 Our premier tattoo studio is dedicated to exceptional tattooing and complete customer satisfaction. 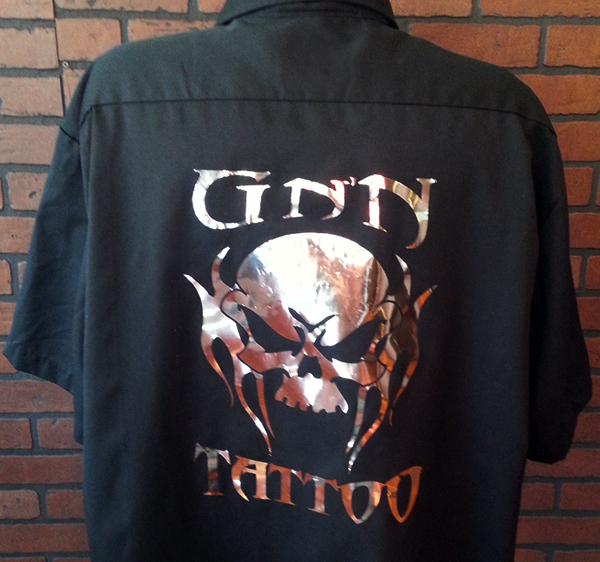 Guns N’ Needles is a premier tattoo studio dedicated to exceptional tattooing and complete customer satisfaction. We believe in fun! 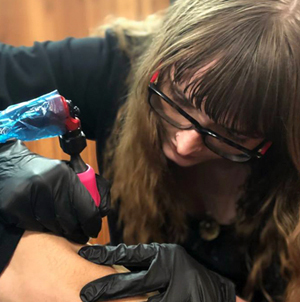 Bring us your ideas and we will help transform them into a unique and personal tattoo. 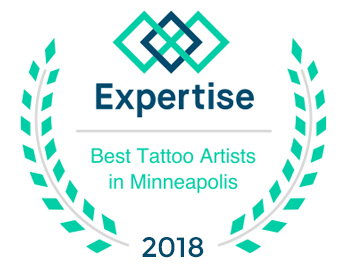 Our artists have the experience you can trust! Our studio is clean and professional, yet relaxed and comfortable. 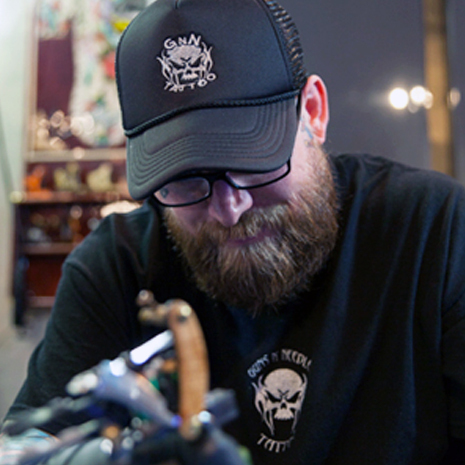 We take great pride in every tattoo we create. Come in and visit us! 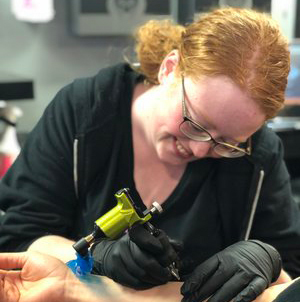 From small spontaneous tattoos to large-scale bodywork, our artists will work with you one on one and offer a wide variety of tattooing styles that are sure to transform your ideas into custom, unique and personal tattoos. Our studio is exceptionally clean and professional yet, relaxed and comfortable. 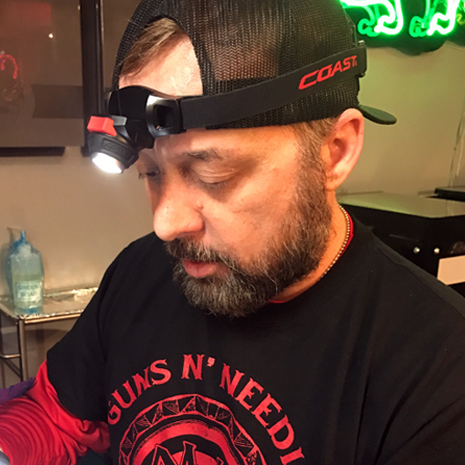 Roger has built himself a strong artistic foundation beginning with an education in cartooning and a career in airbrushing. 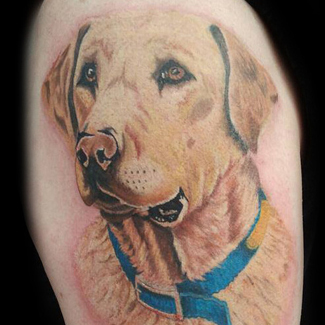 For Brian, it was love at first sight. 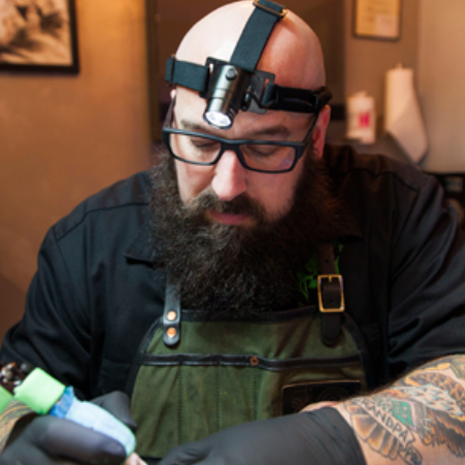 At an early age, Brian saw a classic anchor tattoo on a man’s forearm while visiting his Father’s store. Ashley's love for tattoos started at a very young age. 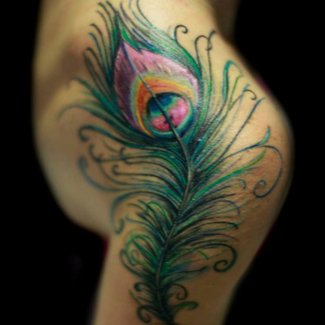 She recalls her father telling her that the dragons on his arms would fly into her room at night to protect her. 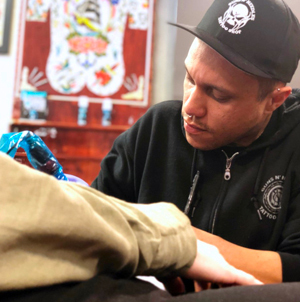 Travis’ interest and love for all things tattooing was peaked because the majority of adults that surrounded him while he was growing up were heavily tattooed. Shane has always been surrounded by tattoos even at a young age. 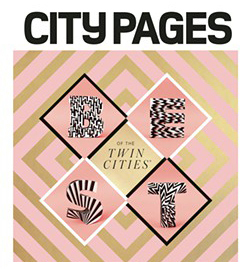 His mother made clothes for Twin Cities Bands in the 80's, exposing him to a ton of ink to be inspired by. 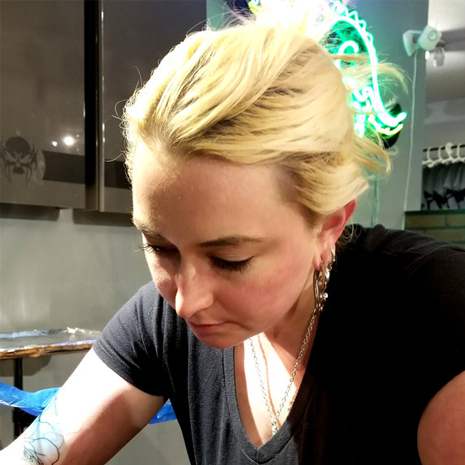 Haley grew up fascinated with illustration, skipping sleep to stay up and draw. 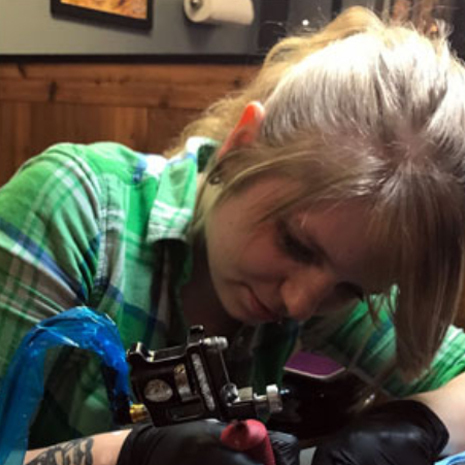 In 2014, Haley stopped in our shop to learn more about the life of a tattoo artist. 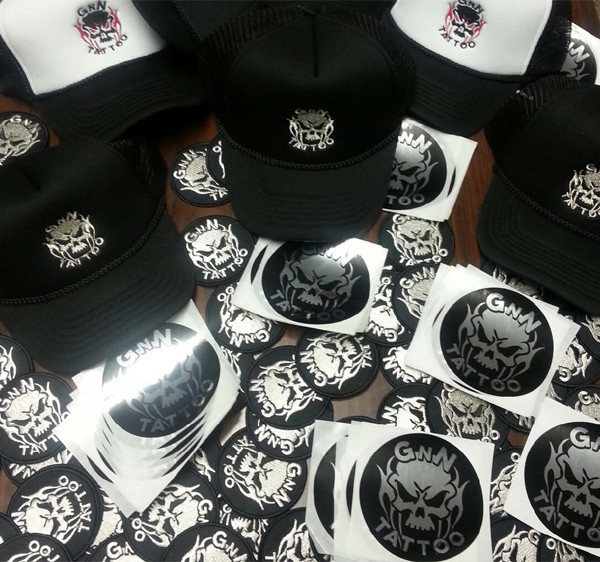 Now she reps GNN. 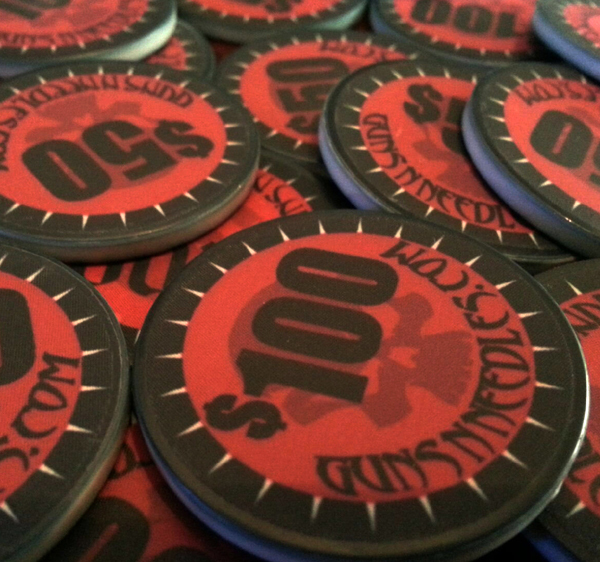 Be sure to grab some GNN swag or make someones day with our gift coins available at the shop.